Open, add another location, or move your business to an exciting venue, which serves the needs of those who live, work, and play in downtown Roanoke! 16 West Marketplace is the perfect location to situate your business, which will complement others related to health, wellness, food, fitness, or retail. 16 West Marketplace provides a unique opportunity for a new business, or an additional location, with its continual daily traffic, visiting the wellness center, the fitness center, buying a book or thai massage, or coming in for food or café items, from Little Green Hive, Wok & Roll, or the Firefly Fare. 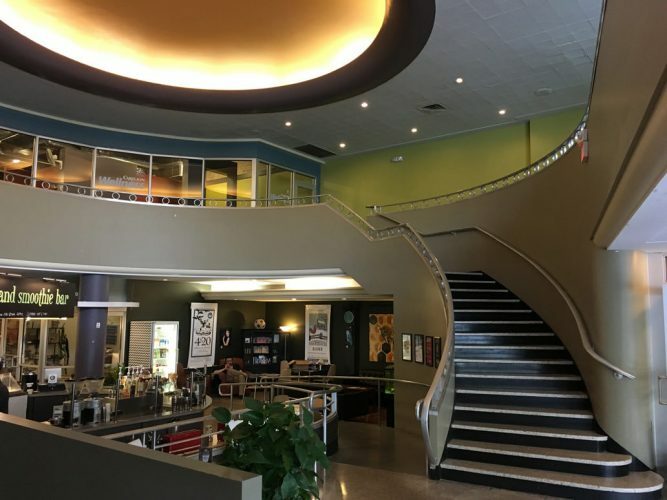 The historic, renovated building is steeped in art deco, architecturally preserved features, with a 21st Century “vibe,” including striking color and functionality. The five separate spaces provide independence, yet attract business for you, as daily shoppers, professionals, residents, wellness, and fitness buffs seek the goods and services of 16 West Marketplace.